If you'd prefer to discuss your situation with a Consultant you can call us on 01782 855585, from 11am to 9pm seven days a week. What Is A Nervous Breakdown And How Does It Work? What Are The Signs Of A Nervous Breakdown? Welcome to our dedicated nervous breakdown website. The information you'll find on these pages is written exclusively by experienced experts that have each served a minimum of fifteen years in the field. You will not find text book theory or rehashed articles from other web pages here... only what works in the real world. The starting point for any recovery is 'good information' - regardless of whether you are the nervous breakdown sufferer or a loved one acting on their behalf. Understanding how a nervous breakdown works and the underlying cause behind it puts you in a position to recognise what needs to be done not only to rectify the situation, but also to prevent it from happening again in the future. An excellent place to start gathering information is our page - What Is A Nervous Breakdown? The vast majority of people attend their GP's surgery by default - that's just the way our health system works in the UK. The downside here is two-fold. The first problem is that your GP (although medically qualified) is a 'general' practitioner. This means that they know a little bit about everything but are far from a mental health or nervous breakdown specialist. Hence, the person making the initial recommendations and guidance on what you should do next - isn't actually a specialist in the field. The next problem commonly encountered by many people is that their GP is always pushed for time. A typical appointment slot with a doctor is in the region of eight minutes. Thus by the time you have explained how you feel and the GP has done a very cursory physical examination of you - your time is already up. This means that there is no remaining time available for your GP to go into the depth required to 'best' advise you on your options. The solution is to quickly print off a prescription and usher you out of his office so that he can see his next patient. Sound familiar? 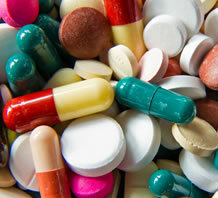 In truth, medication has never fixed or cured a nervous breakdown. Thus leaving your GP's surgery with a prescription in your hand is never a long term solution to recovering from a nervous breakdown. In reality, medication merely suppresses the most unpleasant side effects by sweeping them under the carpet - however, medication never addresses the underlying cause behind the problem. This means that whilst someone taking medication may feel 'temporarily better' (due to their symptoms being swept under the carpet), the underlying problem behind the nervous breakdown continues to fester in the background. The more it festers... the stronger it gets. We hope you now understand that 'medication' is issued so frequently purely because it is convenient for your GP - NOT because it is an effective treatment. The only genuinely effective form of treatment for a nervous breakdown is a specialised form of Cognitive Behavioural Therapy (CBT). It can be used 'drug free' or if you're already taking medication for your nervous breakdown it can be used in conjunction with those drugs. Either way this is the only 'true method' of treating a nervous breakdown effectively. 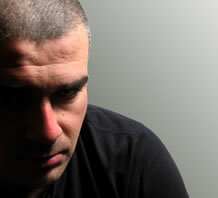 For further information on how CBT can help you, have a look at our page on Nervous Breakdown Treatment. It may also be a good idea to consider the pro's and con's of working with the NHS. Whilst their service is free at the point of delivery, there are often unacceptable delays, ineffective bureaucratic treatments and problems with continuity of service (being passed around). Have a look at our page on Nervous Breakdown NHS for information on the feedback we get from ex-NHS patients regarding the levels of service they have received. 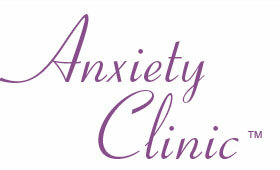 With the correct specialised help, nervous breakdown recovery can be geared to your own requirements. This means that we will take things at a pace which is comfortable for you. Unfortunately this doesn't happen with the NHS as you are forced to 'fit' their system and timetable whether it is suitable for you or not. We also believe in our clients having access to their own Consultant. Thus there are no gate-keeper receptionists or secretaries at our Clinic keeping you away from the very person you need to speak to. Rather, you will be given your own Consultant and will be able to call them direct should you have any concerns or problems between appointments. We will also ensure continuity of service meaning that you will work with the same Consultant throughout your treatment and recovery. You will not be passed around or inconvenienced with excuses like "Dr. X is on holiday" or "Mr. Y has swapped departments so you'll have to see Ms. Z". You can also choose how you'd like to work with us. We offer face to face consultations at our Clinic in Staffordshire (for those living within travel distance) or alternatively if you live further afield we can work with you over the phone or via webcam. You will work with the same specialised Consultants regardless of what method you choose. Surely all this expertise and high level of service will be expensive? Not at all - our Clinic is run efficiently, without bureaucracy and without unnecessary management tiers. Thus we can offer expertise and high levels of service with very affordable fees. For example a 90-Minute (that's a full hour and a half) Face To Face Consultation costs just £95.00 or if you'd prefer to work with us by phone or webcam we offer 60-minute Consultations for just £69.00! We don't want our clients to run any financial risk, so we offer a zero-risk guarantee. Basically if you book a session with us and for any reason during the session decide (even right at the end) that you don't want to continue working with us - it wont cost you a single penny. We'll shake hands and part company on good terms. We only want satisfied clients - it's as simple as that. I live in or near to Staffordshire so a zero-risk Face To Face Consultation would be best for me. I live too far away to travel to the Clinic so a zero-risk Phone / Online Consultation would be best for me.